Delightful Inspiration - Free Digital Stamp for September "Oak Wreath"
I used the OWH S&S Sketch #20. I like this sketch very much. What a beautiful card, I like the layout and colors! 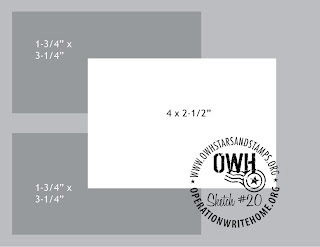 Thanks for playing along with us at Operation Write Home! What a lovely card. I love the papers and the image. TFS. Wow... what a gorgeous card! That dp is amazing... perfection! Gorgeous! 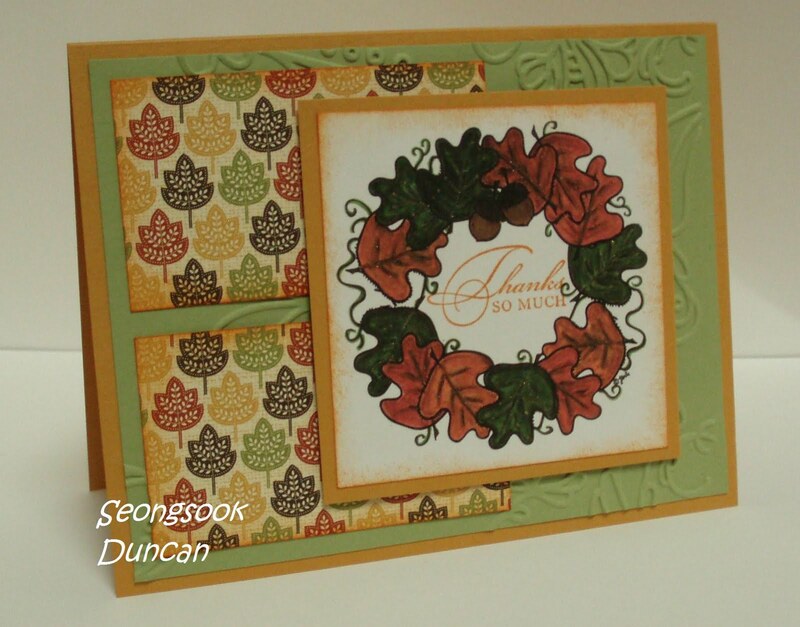 Love the patterned paper and layout! Great job with this week's digi! Thanks so much for being a part of the Designed2Delight Artist's Challenge!! I love your card and I agree with you in that I love the template...I'll save that one to use in the near future. Thank you for sharing. This is so lovely. The colors are awesome. I would LOVE getting this card, I'm sure someone else will too! That is such a pretty autum card. I love it!